Just how big is Pluto? The answer is we aren’t entirely sure. We know the diameter is between 2,300 and 2,400 kilometers, but it’s hard to pin down beyond that. The reason for the uncertainty has to due with the fact that Pluto has an atmosphere. Although we can determine Pluto’s mass by observing the orbit of Pluto’s moon Charon, determining the planet’s size is most precisely done by watching the planet transit in front of a distant star. By observing the transit from different positions on Earth, we can determine Pluto’s size. 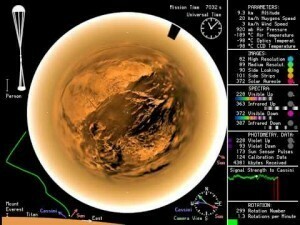 But the thin atmosphere of Pluto means that the observed transit is a bit fuzzy. Instead of seeing the distant star wink out as Pluto occults it, we see it fade out as the atmosphere occults it. 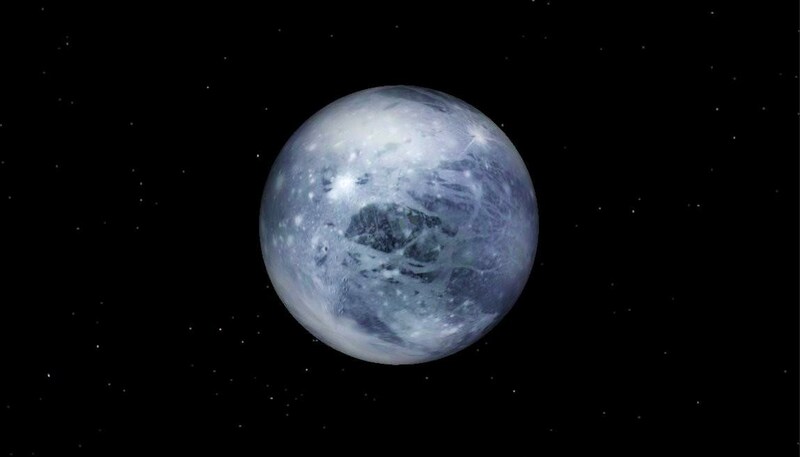 So the calculated size of Pluto is approximate. Just to be clear, Pluto’s atmosphere is extremely thin. It’s surface pressure is about 300 times thinner than the atmosphere of Mars, but it is enough to blur the diameter measures of the planet. Recently, however, a paper in Icarus has used Pluto’s atmosphere to more accurately determine its size. The paper itself focuses on levels of methane in Pluto’s atmosphere, and how it varies with position and time. But knowing the distribution of methane and its variation with pressure, the team could also calculate the thickness of Pluto’s atmosphere. From this, they could calculate its diameter. The result was 2360 km, give or take about 20 km. That is likely the best measurement we’ll have until New Horizons makes a flyby of Pluto next summer. For now we’ll just have to settle for an approximate Pluto.